Home to over 5 million people, West Palm Beach is a prime hotbed of nightlife and entertainment. Unfortunately, with this constant activity comes traffic, and with traffic comes accidents. 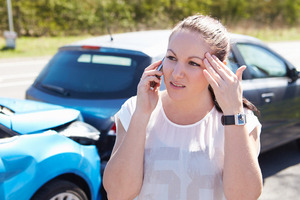 An accident for anything can be a source of pain, financial strain, and emotional stress. If you or a loved one have been involved in a car accident in West Palm Beach, call the West Palm Beach injury and accident lawyers at Wolfson Law Firm at (855)-982-2067. The consultations we give are free, confidential, and come with no obligations. We take all types of wrongful death and serious injury cases concerning motor vehicular accidents on a contingency fee basis - you don’t owe us anything unless we recover compensation for you. The West Palm Beach injury and accident lawyers at Wolfson Law Firm have served the people of West Palm Beach and South Florida through all their trials and tribulations, on the road and off it, since 1963. That’s over 55 years of trusted service to the West Palm Beach and South Florida communities. In the moments after an accident, your mind is reeling from the realization that the unthinkable has just happened to you. The dread begins to rise - the fear of dealing with insurance companies, the other driver. Doctors. The Police. You’ve been thrust into a world that most people never have to deal with. Fortunately, the West Palm Beach injury and accident lawyers at Wolfson Law Firm are here to help. Make sure you, your passengers, and the other driver(s) are safe. If you are injured, make sure other people know. Call the Police. The West Palm Beach non-emergency number is 561-838-5454 - this number is best for fender benders and accidents with minor injuries. If someone is seriously injured or there is serious car damage and a threat to traffic safety, call 911. Even if you don’t think an officer will be useful to have at the scene, call them anyway. They may direct you to merely exchange information with the other driver, or they may ask that you and the other driver remain at the scene and wait for an officer to arrive and assess the situation. Watch what you say at the scene. Innocuous phrases like “I’m sorry” can be held against you later, making you culpable for any damages inflicted during the accident. Gather evidence if possible and obtain contact information from witnesses. Talk to the Police. Per the “accident report privilege” described in Florida Statute 316.066(4), anything you tell the Police at the scene of the accident is inadmissible later in a personal injury trial. Don’t leave the scene. Wait for emergency personnel to arrive. Sometimes your accident may be given a low priority by the police station and you may be waiting for some time. Call your insurance company and watch out for deals. Insurance companies will often want to end an accident or personal injury case early by cutting a deal with you. Often it will see like a large sum of money - but often, it will not be enough to cover all the expenses incurred by the accident or personal injury you’ve just experienced. Call the West Palm Beach accident and injury lawyers at the Wolfson Law Firm at (855)-982-2067. Having an experienced, professional accident and injury lawyer manage your case takes a lot of work off your shoulders while you recuperate and manage the other aspects of your busy life. Don’t take it on word of mouth - ask to see the documents that have this information. The driver’s license and an insurance verification card are the golden rules. Be wary of false information, as it can sabotage any kind of a case down the line. If the other driver can’t verify the information, they are giving you, call the Police non-emergency line and get an officer on scene. Next, call the other driver’s insurance company to verify for yourself that you’ve been given accurate information - but watch out! Don’t give out any details of the accident to the other driver’s insurance company, only verify their coverage. From this point, the remainder of the work falls to the injury and accident lawyers at the Wolfson Law Firm. Just like having an officer at the scene, we can put a lawyer on your case to help take the strain and stress of managing it off your hands. So, if you, a loved one, a friend, or even an acquaintance have been involved in a car accident caused by negligence that has resulted in personal injury or damage, call the injury and accident lawyers at the Wolfson Law Firm at (855)-982-2067.